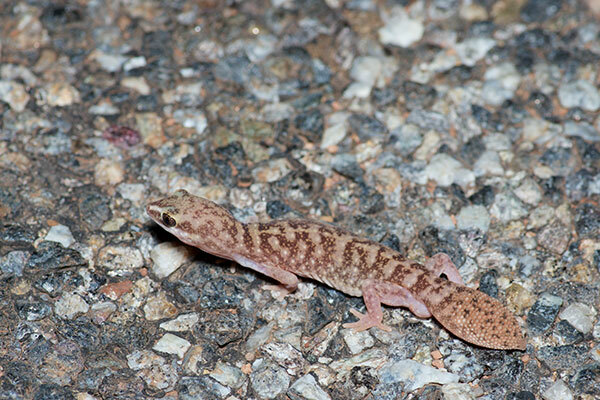 These chubby geckos shelter in insect and spider holes, which they block with their thick, rough tails. 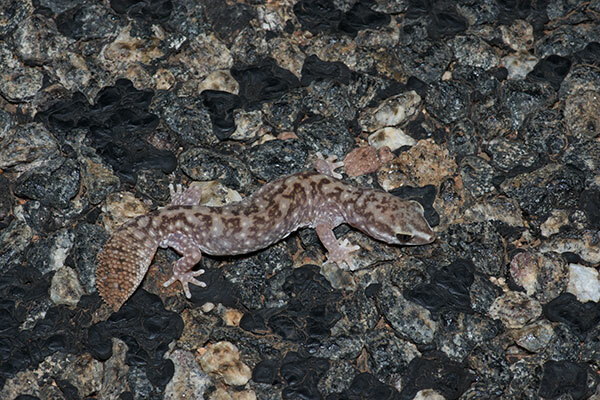 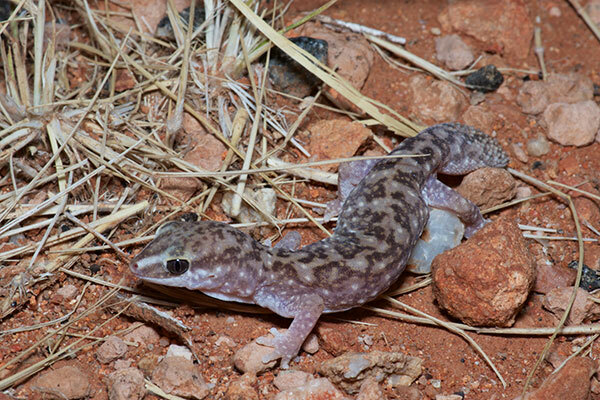 This gecko had been on the road at night, but scampered off to avoid my camera. 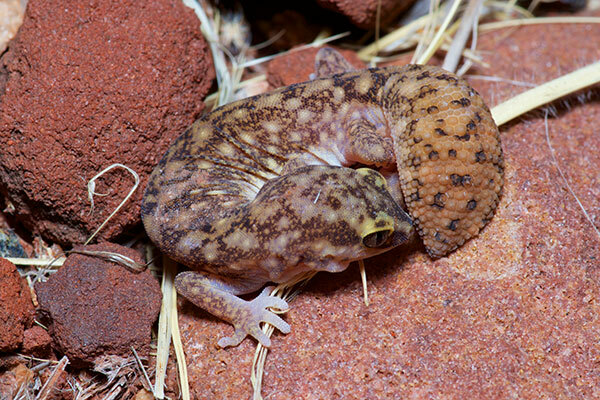 When it reached the rocky shoulder, it curled up tight, presumably in the hopes that I wouldn't notice it.